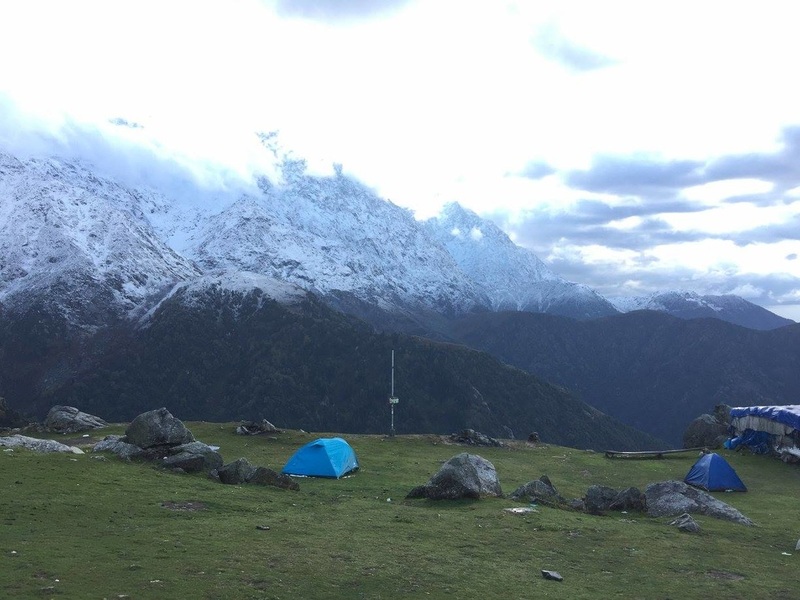 Triund is the crown jewel of Dharamshala , situated in the laps of Dhauladhar mountains, it has the perfect view of the Dhauladhars on one side and Kangra valley on the other. Triund is a very popular trekking spot and attracts a lot of tourists every year from India and all over the world . With well-defined forest trails and breath-taking views of the entire Kangra valley, The view of the evening sky from Triund is a good enough reason to pitch a tent here for the night. The length of the trek makes it apt for a weekend. There is no dearth of eating options as there are several cafes on the way, like Magic View, Scenic View and Snowline Café. The trekking scene here is well-organised and one can embark on multiple treks of longer duration here, namely Indrahar Pass, Minkiani Pass, Kareri Lake and all the way to Kuarsi Pass and Mani-Mahesh. If you have a day to spare, fancy trekking from Triund till Lahesh Cave and explore the meadows below Indrahar Pass. The trek offer panoramic views of Bhagsu village, Mcleodganj, Dharamsala valley and distant views of Shivalik hills and plains of Kangra valley. The trek is moderate in nature. 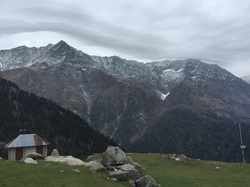 Triund is a large land of green grass and pastures. One can see the mighty Dhauladhar ranges just above the eyes. This is the base camp and acclimatization point for trekkers climbing the Indarahara Pass. Arrive in the morning at Mcleodgang at freshen up at your comfy guest house. Enjoy freshly brewed coffee with some toasts and cookies. After rest we will explore the market of Mcleodgang, visit monasteries, make a short excursion to Bhagsunag Temple and enjoy a swim in the magnificient waterfall near it, while enjoying some Pizza at Shiva's cafe, while admiring the views. Enjoy sunset at Naddi and click pictures of the snow clad peaks of the Dhauladhar Mountain Ranges. Our next day destination, Triund is visible from here. In the evening you are free to explore the market, and enjoy shopping, eating out or clubbing with your fellow travelers, before comfortably retiring in your guest house. The Triund trek will take at best four hours to complete and though quite a few manage to do it within two hours. The trail itself isn't too grueling, even for the unseasoned trekker. We will start from Gallu Devi Temple, the starting point of the trek, instead of beginning at Mcleodganj. You'll also find a few stalls selling refreshments on the way, so you can even break the trek into parts and rest a while on the way. Triund trek can be described as a tranquil trek which can be easily accomplished by almost all age groups . Triund has an unambiguous byway which goes through a beautiful mixed forest of oak, deodar and rhododendron . Trek is fairly easy for the first five kilometers but the last one kilometer may require a bit of toil , the last one kilometer is popularly know as the “22 curves” as it has 22 tiring curves before you finally reach Triund. Along the way there are many small chai shops where one can refresh during the hike. The traipse is worth it as the panorama when you reach triund is awe-inspiring and exhilarating . 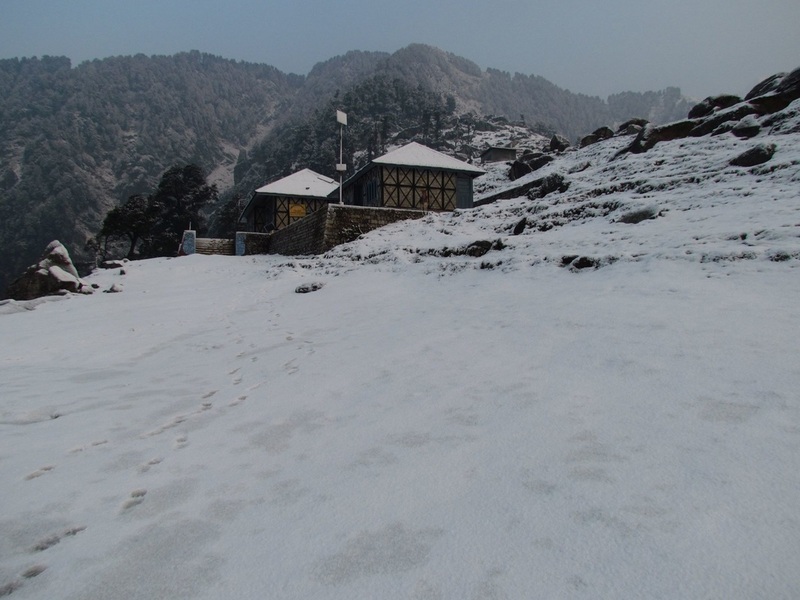 Triund is come-at-able for most part of the year except for when the byway to triund is cut off by heavy snowfall in the months of January and February . Trip to triund can be planned diversely. Next day we trek our way back to Triund, while enjoying a short break at Snowline Cafe. After having lunch at Triund we will hike down to Mcleodgang where our volvo will be waiting to transport you back to Delhi with sweet memories. Package Cost includes and what to bring? Click here to know..